To make the 2016 Volkswagen Tiguan more affordable and competitive compared to the other SUVs on the market, the German company has reduced the price of the vehicle. The entry version of the compact crossover will now start at $25,000, which is a lot closer to the entry models of competitive SUVs. To sweeten the deal, Volkswagen will also add some new features and utilities to the compact crossover. Customers will now get 5-inch touch screen in the standard version of the entry model, along with USB capability, CatNet system, new heated seats, faux leather for the surface of the seats and a push-button start. Compared with the other SUVs in the segment, the Tiguan has been one of most expensive cars. With the previous price of $27,120, the Tiguan was ranked 11th on the list. The cheapest car in the segment is the Mazda CX-5 which starts at $22,425 for a base model and can go up to $30,100. The other cheap alternatives in the segment include the Honda CR-V with a price of $24,325, the Ford Escape priced at $24,345 and the Jeep Cherokee, which is priced at $24,090. The new price of the 2016 Ford Tiguan should come down to $25,000, which will make the vehicle a lot more competitive in the segment. With the price drop, Volkswagen made the entry model of the Tiguan more competitive and affordable. 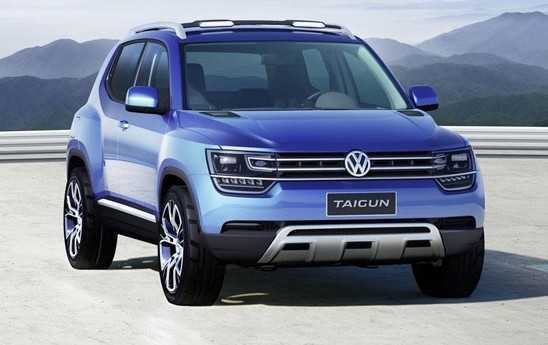 Additionally, the company reduced the price and updated some of the more premium models of the Volkswagen Tiguan. For example, the R-Line trim is now positioned between the S and the SE model and the SEL is now the highest priced Tiguan. The SE, SEL and R-Line versions get a new larger 6.3 inches touch display. For the SE model, Volkswagen has added the option for a panoramic sunroof, adaptive headlights, 18-inch aluminum alloy wheels, power-driver seat, new functions for the seat of the passenger and a chrome trim for both the outside and the inside of the vehicle. Being the top priced vehicle, the SEL model now has 19-inch wheels and a sport suspension along with leather seats and a memory function for the seat of the driver. The Tiguan is due for a complete redesign in the following year. That is one of the reasons why the vehicle missed out on some of the popular features and updates to the VW lineup. Some of those include Apple CarPay as well as Android Auto. A bunch of driver assistance technologies are also absent from the Tiguan. All the new features, both in technology and safety and driver assistance should make their way to the 2017 Tiguan. The question is whether it is worth waiting for, or should you benefit from the price drop off and get the vehicle now.